NEW YORK -- Major U.S. stock indexes are leaping to all-time highs in a broad rally. The gains Wednesday were driven by stocks that tend to do well when the economy is growing, like consumer and technology companies, as well as stocks that pay high dividends, like phone and real estate companies. It was the market's biggest gain since early November. Nike rose 3 percent, the biggest gain in the Dow Jones industrial average. Drugmakers fell after President-elect Donald Trump said he wants to reduce drug prices. The Dow surged 297 points, or 1.6 percent, to 19,549. The Standard & Poor's 500 index climbed 29 points, or 1.3 percent, to 2,241. The Nasdaq composite gained 60 points, or 1.1 percent, to 5,393. Those were record high closes for the Dow and S&P 500. U.S. stocks are moving higher in midday trading, keeping major indexes at record highs. Bond yields fell Wednesday, prompting investors to shift money into high-dividend stocks like real estate investment trusts, utilities and phone companies. Health care stocks took steep losses after President-elect Donald Trump said he wants to reduce drug prices. Pfizer fell 2.6 percent and Merck lost 1.9 percent. The Dow Jones industrial average rose 46 points, or 0.2 percent, to 19,298. The Standard & Poor's 500 index rose 3 points, or 0.2 percent, to 2,215. The Nasdaq composite gave up 3 points, or 0.1 percent, to 5,329. Bond prices rose. The yield on the 10-year Treasury note fell to 2.36 percent. Stocks are opening slightly lower on Wall Street as the market backs away from record highs set the day before. Drugmakers were among the biggest losers in early trading on Wednesday. Pfizer and Merck each fell 2 percent. Other companies were lower after reporting disappointing results. Vera Bradley, which makes handbags and accessories, dropped 12 percent and liquor maker Brown-Forman fell 1 percent. 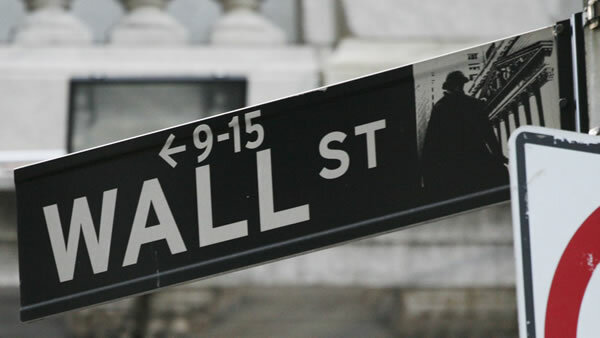 The Dow Jones industrial average fell 3 points, less than 0.1 percent, to 19,247. The Standard & Poor's 500 index slipped 2 points, or 0.1 percent, to 2,209. The Nasdaq composite gave up 7 points, or 0.1 percent, to 5,325.